Sheelah Kolhatkar, a former hedge fund analyst, is a staff writer at The New Yorker, where she writes about Wall Street, Silicon Valley, economics and national politics, among other things. She has written the magazine's Financial Page column and is the host of the public television program "Playing By The Rules," and is a regular contributor to NPR's Marketplace. Previously, she was a features editor and national correspondent at Bloomberg Businessweek, and a regular contributor to Bloomberg Television. She is the author of the bestseller Black Edge, about the largest insider trading investigation in history and the transformation of Wall Street and the U.S. economy, which was named a Top Book of 2017 by The New York Times. 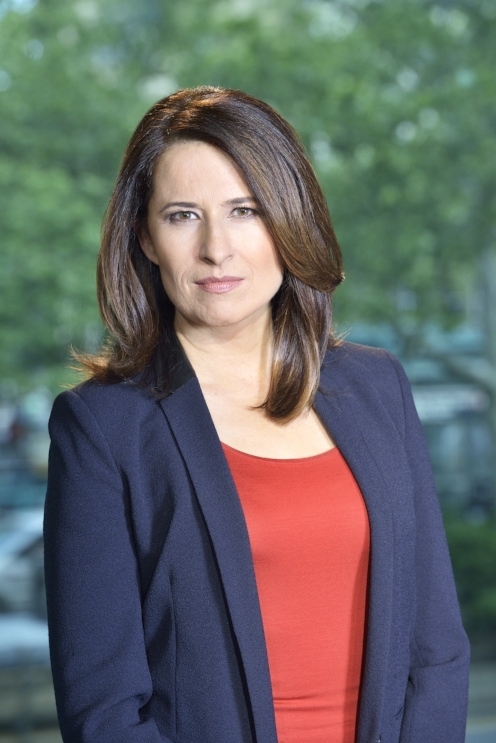 She has appeared as a commentator on business and economic issues on CNBC, MSNBC, PBS, CBS, NPR and contributes regularly to New York City’s public radio station WNYC. She has moderated panels and conducted interviews at numerous live events, including the New Yorker Festival, the United Nations, Advertising Week and the Business for Social Responsibility Conference. Her work has also appeared in New York Magazine, The Atlantic, The New York Times, The New York Times Book Review, Time and other publications. Before becoming a journalist, she spent several years as a risk arbitrage analyst at two hedge funds in New York City. Sheelah holds an undergraduate degree from New York University and a M.A. from Stanford University. She lives in New York.